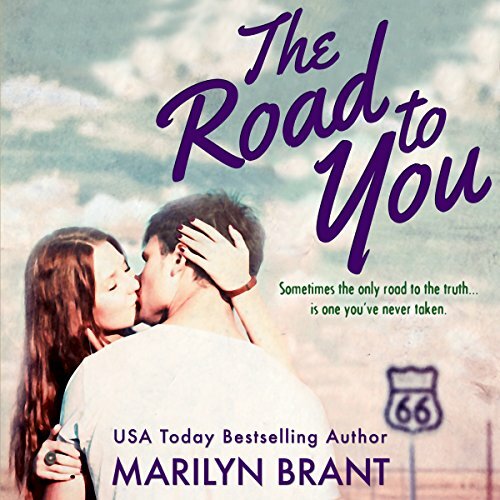 A coming-of-age romantic mystery that takes place, in part, along historic Route 66, written by New York Times and USA Today best-selling author Marilyn Brant! Sometimes the only road to the truth...is one you've never taken. "Until I found Gideon's journal in the tool shed - locked in the cedar box where I'd once hidden my old diary - I'd been led to believe my brother was dead. But the contents of his journal changed all that." The Road to Discovery: Two years ago Aurora Gray's world turned upside down when her big brother, Gideon, and his best friend, Jeremy, disappeared. Now, during the summer of her 18th birthday, she unexpectedly finds her brother's journal and sees that it's been written in again. Recently. By him. The Road to Danger: There are secret messages coded within the journal's pages. Aurora, who's unusually perceptive and a natural puzzle solver, is hell-bent on following where they lead, no matter what the cost. She confides in the only person she feels can help her interpret the clues: Donovan McCafferty, Jeremy's older brother and a guy she's always been drawn to - even against her better judgment. The Road to You: Reluctantly Donovan agrees to go with her, and together they set out on a road trip of discovery and danger, hoping to find their lost brothers and the answers to questions they've never dared to ask aloud. I could count on one hand the things I knew were true about Donovan McCafferty: He was 23 - just over five years older than I was. He'd escaped into the army at age 18 and, except for a few quick but memorable visits, hadn't returned to Minnesota until this past winter. He had an excellent mechanical mind. And he made me very nervous. Underneath my skin, every nerve fiber was fast twitching. Just thinking about Donovan always did that to me, but this time it was also about the trip. I couldn't have been more eager to get on the road to Crescent Cove, and I really didn't want to make a stop at Donovan's workplace. But, awkward though it would be, he knew a few things I didn't and might signal to me (whether he realized it or not) some very useful directions. It was 7:05 p.m. by the time I got to the shop, and I parked a fair distance from the entrance. They closed at seven, but the work light in the back was on, and two out of the three garage doors were still open. I knew he was in there. Not because I'd caught even one glimpse of Mr. Tall, Dark, and Intense yet but because the only other car in the lot was a crimson Firebird Trans Am with the giant bird decal in black and gold across the hood. His, of course. ©2013 Marilyn Brant (P)2016 Post Hypnotic Press Inc.